1 image. 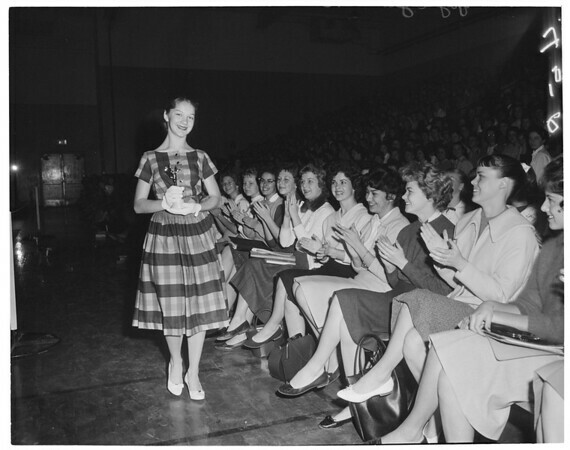 Posture Queen, Rosemead High School, 11 February 1960. Gayle Grimes -- 15 years (winner of posture contest). Caption slip reads: "Photographer: Paegel. Date: 02-11. Reporter: McMahan. Assignment: Rosemead High School Posture Queen. Miss Gayle Grimes, 15, winner of posture contest. (for Monday)."